This site exists to help you obtain a UK Birth, Death, Marriage or Divorce certificate as quickly and as easily as possible. If you have any questions that you feel we haven't answered on our website, then please feel free to contact us by using our Contact Details page, or by emailing us at info@UKOfficialServices.co.uk or Call us on: 0121 247 4304. We aim to answer all questions within 24 hours. Q. Will the birth certificate have both parents details? A. 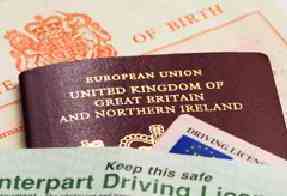 Certificates give both parents' details, if they were registered at the time of the event, including the mother's maiden name. Q. Is the Certificate the 'short' or 'long' version? Q. Are these certificates official? A. Yes. All certificates are official.